H.E. Mr. Taranjit Singh Sandhu presented his credentials to H.E. President Maithripala Sirisena on 24 January 2017. 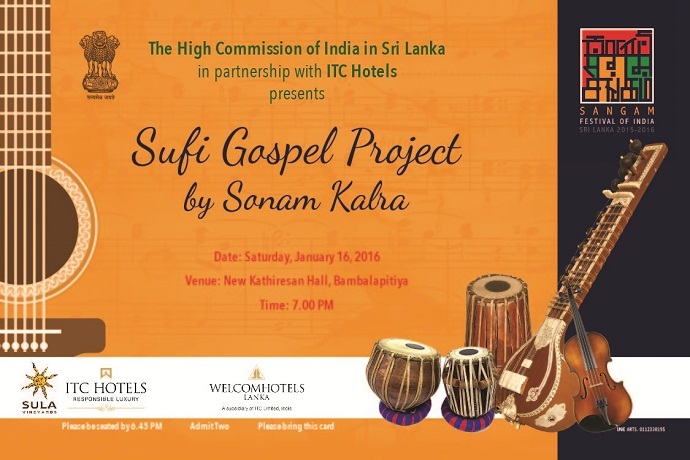 Prior to his current assignment in Colombo, High Commissioner H.E. Mr. Taranjit Singh Sandhu was Deputy Chief of Mission at Embassy of India in Washington D.C. from July 2013 to January 2017. He served as Consul General of India in Frankfurt from September 2011 to July 2013. He served in the Ministry of External Affairs from March 2009 to August 2011, as Joint Secretary (United Nations) and later as Joint Secretary (Administration) heading the Human Resource Division. High Commissioner Sandhu was at the Permanent Mission of India to United Nations, New York from July 2005 to February 2009. He was First Secretary (Political) at Embassy of India, Washington, D.C. responsible for liaison with the United States Congress from 1997-2000. High Commissioner Sandhu has earlier served as the Head of the Political Wing in the High Commission of India, Colombo from December 2000 to September 2004. In a distinguished career spanning nearly thirty years after joining Indian Foreign Service in 1988, High Commissioner Sandhu’s various assignments have included working in the former Soviet Union (Russia) from 1990 to 1992 as Third Secretary (Political) / Second Secretary (Commercial). Following the breakup of Soviet Union, he was sent to open a new Embassy in Ukraine. He served as Head of Political and Administration Wings in Indian Embassy in Kiev from 1992 to 1994. On his return to India, he served as Officer on Special Duty (Press Relations), Ministry of External Affairs from 1994 to March 1997. He was responsible for liaison with foreign media in India. 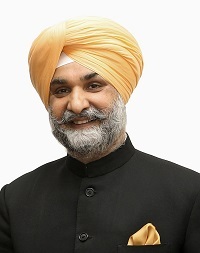 Born on 23 January 1963 in a family of educationists, High Commissioner Sandhu studied at The Lawrence School, Sanawar and graduated with History Honors from St. Stephens' College, Delhi. He pursued a Masters Degree in International Relations at the Jawaharlal Nehru University, New Delhi. High Commissioner Sandhu is married to Mrs. Reenat Sandhu, who is Ambassador of India to Italy. They have two children.